It’s December 19th, a happy day when Christmas is around the corner – but for one family on the western extremity of Yorkshire 169 years ago it was very different. Death had come to the Haworth Parsonage, and on December 19th 1848 it was to claim Anne Brontë’s beloved sister, Emily. As children Anne and Emily Brontë, the youngest members of the family had been inseparable and although they were very different in appearance Ellen Nussey had described them as being like twins. As they grew older they often walked the moors together, created the fictional land of Gondal together, and wrote together, but at last a journey was coming that Emily must walk alone. 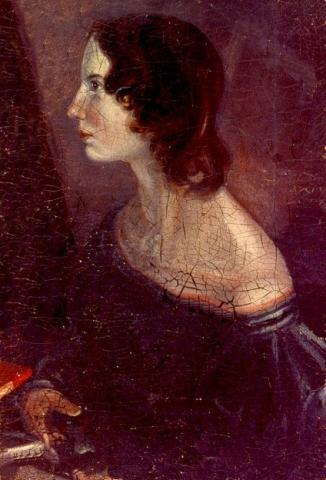 1848 had started triumphantly for the Brontës, as Wuthering Heights and Agnes Grey had been published jointly a month earlier and Charlotte’s Jane Eyre had become an overnight sensation. It was to end very differently. Their brother Branwell had sunk further into his drink and opium addiction, but his condition suddenly worsened and on September 24th he died. Whilst the official cause of death was put as ‘marasmus’ this chronic wasting had in fact been a sign of tuberculosis. At Branwell’s funeral, Emily started to cough too – it is thought that this was the last time she ever left the Parsonage. It soon became apparent to all that Emily was gravely ill. She was becoming very thin and coughing violently, but refused any medical help and said that all doctors had was ‘quackery’. In vain, Charlotte consulted leading homeopaths, but Emily refused to take their medicines or followed their advice. It was dreadful for Anne and Charlotte to watch their sister carry on as if nothing was wrong with her, but as always once Emily had made up her mind she could not be dissuaded. Emily still insisted as always on feeding the dogs Keeper and Flossy from scraps of bread and meat held in her palm. A sudden draught blew underneath the Parsonage door and swept Emily off her feet blowing her against a wall. Refusing help even now, she slowly regained as if nothing had happened. On the following morning, she had trouble rising but insisted on walking down the stairs and doing the household duties she had been carrying out as before. It is likely, however, that by now Emily had gone blind. ‘I’ll see the doctor now’, she finally said, but it was far too late. At two o’ clock in the afternoon of 19th December, 1848, Emily Brontë, the great solitary genius of the Yorkshire moors, died. We can imagine that her hand was held by Anne, the sister she loved more than anything else in the world. Six months later, tuberculosis would come back to claim her as well. Ah well, they certainly can’t prevent us all from taking down a favourite book and having a great Brontë Christmas! Remarkably Emily seem to be describing Charlotte’s own experience while watching Emily die that day . Her agreeing to see a doctor at last and at death’s door is interesting to ponder . Of course intervention was medically useless at that point,…and well before, but the request may have been made to provide some emotional relief to the family….in that all that could be done was finally allowed. Your earlier post was brave as you are an established Bronte author and there could be consequences to such a stand. Fate seem to have called you to make this stand as you know Lily Cole’s “work” and could not simply hope for the best in ignorance. From the reaction on both sides , one can see you hit a nerve . I’m not surprised of the support your earlier post received from Bronte fans. They have been grumbling such things amongst themselves for some time. 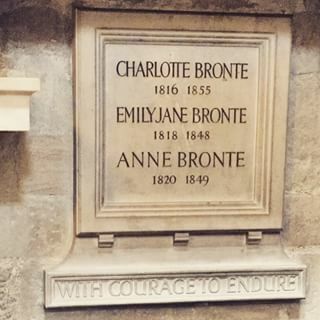 It is a matter of very different viewpoints…one of caring about the Brontes themselves , or seeing them as a ” product” to be promoted like any other. Ultimately the product view will be detrimental to the very thing it is supposedly is trying to help since it has no notion of the fount that feeds the interest. Instead of investigating and fostering that , they dismiss it ; calling it boring and old…I wonder how many of those making these decisions have even read the Brontes after their school years?